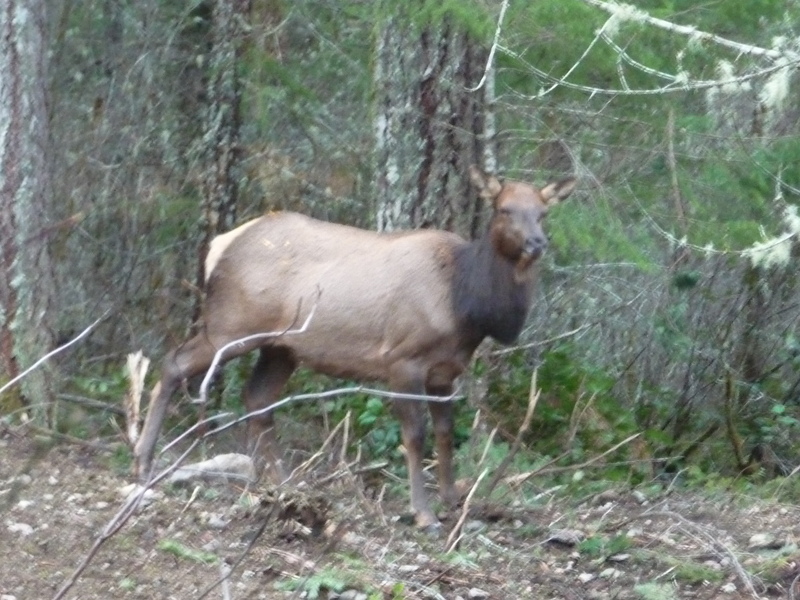 …on the phone just now, I looked up — I am at my desk — to see this elk standing on the new cleared area, looking at me. The photograph is blurry because it’s through glass but you can see the beautiful winter pelage — the yellow rump in particular. And what you can’t see (but they show up on the much blurrier zoomed image) are tiny antler buds. So this is a young bull, in his second year. 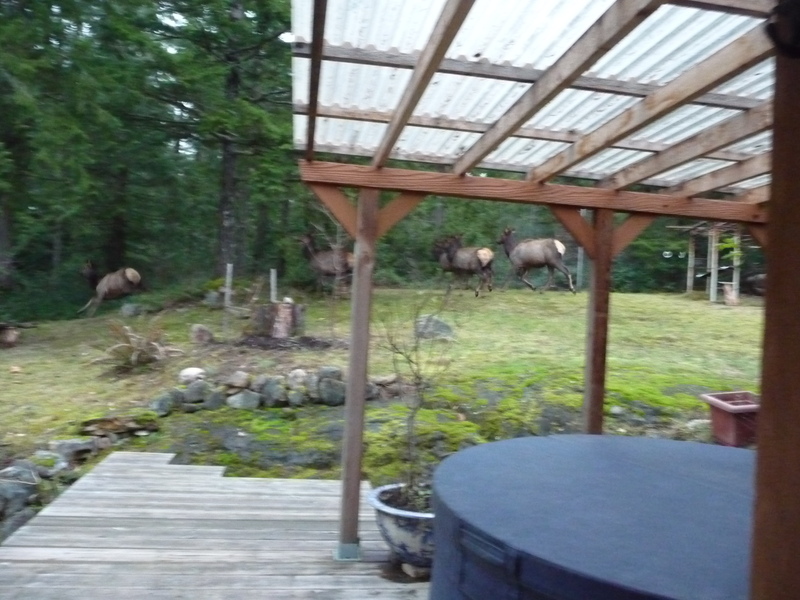 And when I went to the back door by the little hot-tub deck, I saw the rest of the herd. They immediately raced into the woods, crashing like, well, the 180-500 kg. animals they are. ~ by theresakishkan on January 20, 2013. They’re so beautiful, Brenda, but man, can they do a lot of damage! I’ve just discovered that they’ve been grazing on the new sprouts of garlic, something the local deer never touched….But we’re in the process of re-fencing our vegetable garden (drain field has been repaired so the fence was taken down) and soon they won’t be able to get at it. This entry was posted on January 20, 2013 at 4:51 pm and is filed under Uncategorized.You can follow any responses to this entry through the RSS 2.0 feed.You can leave a response, or trackback from your own site.